Emily Holbrook wrote, “for the most part, a company never anticipates its suppliers will be using child labour to provide a product, but for many large corporations with production facilities or suppliers in poorer countries, that is exactly what is, and has been, happening. And the reputation damage inflicted by accusations that a company uses child labour to make a profit, even if unaware, is devastating.” She goes on to call it a “Reputation Armageddon”. Recently in the US, new legislation has been introduced on slavery and human trafficking. If the legislation passes, businesses with over $100 million in global gross receipts will be required to report to the SEC as part of their annual filings what policies they have in place to ensure their supply chains are free of slavery and human trafficking violations. Disclosures will need to be prominently posted on SEC and company websites for public access. While Primark was exposed in a BBC documentary for using child labour, the story was subsequently challenged in court and found to be incorrect. BBC issued an apology and Primark has detailed information on its website. Though Primark struggled to regain its footing, in 2011 Primark achieved ‘Leader’ status in the ETI. This put Primark in the top 5% of all ETI members, a position that has been upheld to date. Obviously good supplier relationship management practices are required by all companies or it can wreak havoc on your reputation. Transparency and internal accountability are crucial to managing a businesses reputation. Increasing supplier visibility is crucial to supplier relationship management. 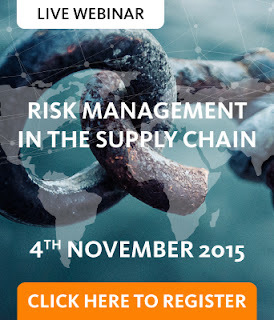 We'll be discussing Risk in much more detail at our webinar on 4th November, click here to register. Stay tuned for more on Risk coming up.